Consumers from around the world are becoming increasingly conscious of the ingredients making up their foods and beverages. Cost and health benefits are driving factors behind many purchases. Food technologists are seeking alternatives to meet these global demands. Hamdansah Hardigaluh, Southeast Asian technical director for USDEC, recently presented a solution for decreasing unwanted sodium content at the Association of Southeast Asian Nations Food Conference. The solution: U.S. permeate. Permeate, also known as dairy product solids, is a dairy ingredient produced through the removal of protein and other solids from milk or whey. 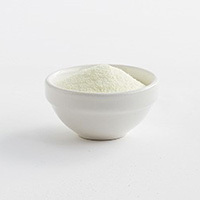 Unique for its ability to replace salt, this functional ingredient can also be an option for cleaner label formulations. Only 10-11 grams of permeate is needed to replace 1 gram of salt, helping improve the nutrition profile of foods and beverages. Permeate is not only gaining popularity because of its flavor and health benefits, but also for its cost savings, longer shelf-life and wide range of functional applications. Permeate is composed of at least 76% lactose, which contributes to the browning appearance, pleasant aroma, absorption of flavors and ability to melt and re-crystallize in food. These features allow permeate to be used as an ingredient across a variety of applications, including confectionery, pizza dough, soups, sauces and meats. 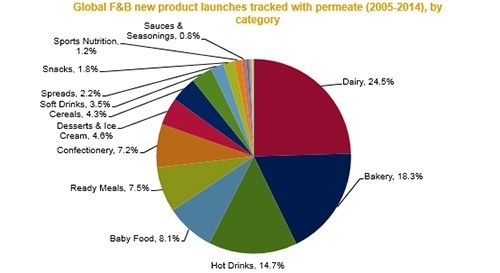 Dairy foods, baked goods and hot drinks contributed to nearly 60% of all new product launches featuring permeate from 2005 to 2014, according to Innova Market Insights. Food manufacturers should keep in mind that there may be variations in permeate composition depending on the supplier. It's suggested to compare specs and conduct trials to identify the best fit for flavor and functionality. General guidelines can also be found in this permeate brochureand video. Permeate has a promising future and the United States has the infrastructure to meet demand. It is estimated that 452,000 metric tons of U.S. permeate was produced in 2014, up from 322,000 metric tons in 2010. Production is forecasted to have continued positive growth, fostering a stable, quality supply for many years to come.